300 dumplings and 10 new dumpling masters! Thank you for all the support from those who came out, and those who encouraged from afar. 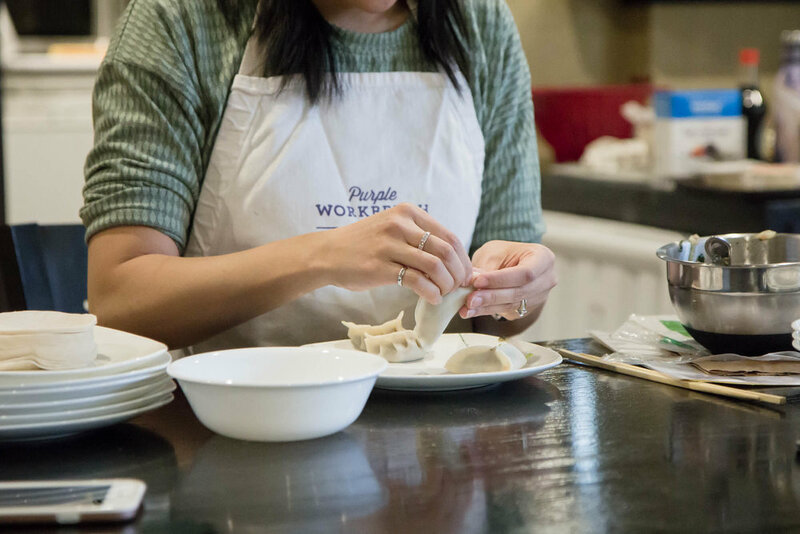 We had such a wonderful time making dumplings. There was time to learn, time to chat, lots of time to fill our bellies. But guys. It was hard. I planned this event because I know this kind of thing fuels me. The creative community helps me feel alive. But I often underestimate what is involved. The shopping, the packing, the info sheets, the DISHES. Some key decisions helped make this event possible. My husband was in San Francisco the entire week leading up to the event (plus we started our bathroom renovations the same week). I was tired. I had little time. I needed the event to be a success, so I had to be smart about it. 2. I ordered most of my ingredients from Mama Earth Organics. They offer great quality, local, organic produce. And they DELIVER. 3. I packed my entire kitchen. Okay, not the entire kitchen, but I was not shy about packing #allofthethings. From dipping dishes to a microplane. I was set. 4. I packed tea. Tea makes everything better. Lemon Lily is my brand of choice. 5. I brought oranges for dessert. There is nothing better than juicy oranges to balance the fatty deliciousness of a million dumplings. It was all worth it. We raised enough money to send a young girl to school. We had fun. The dumplings were so delicious. I'm sure I'll do this again.